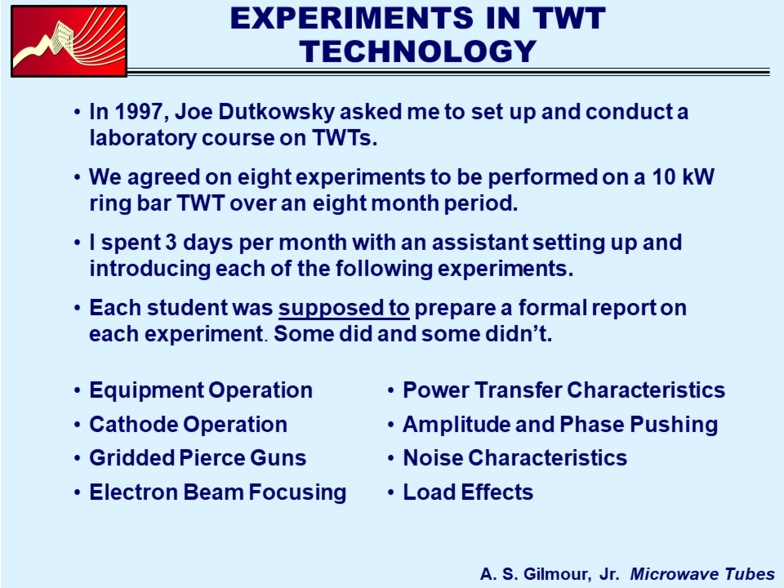 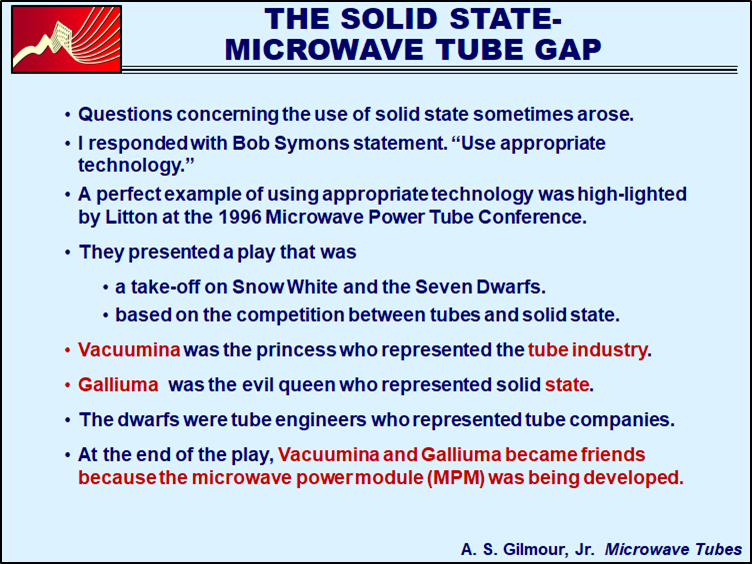 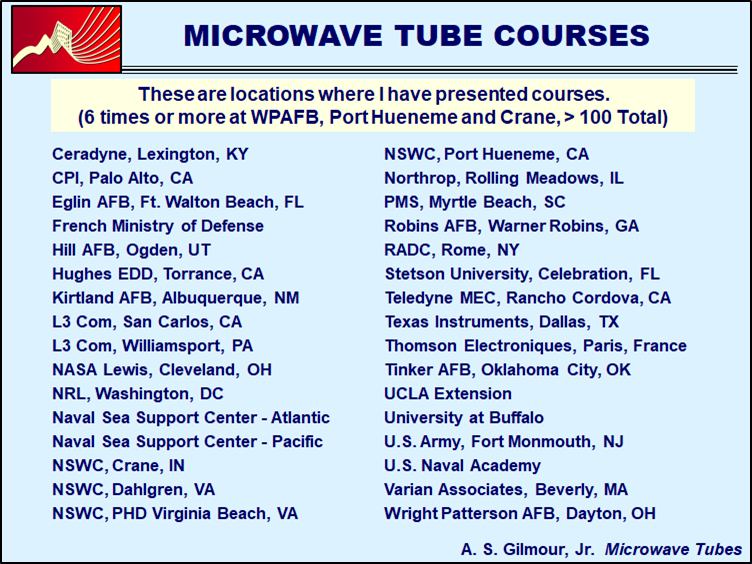 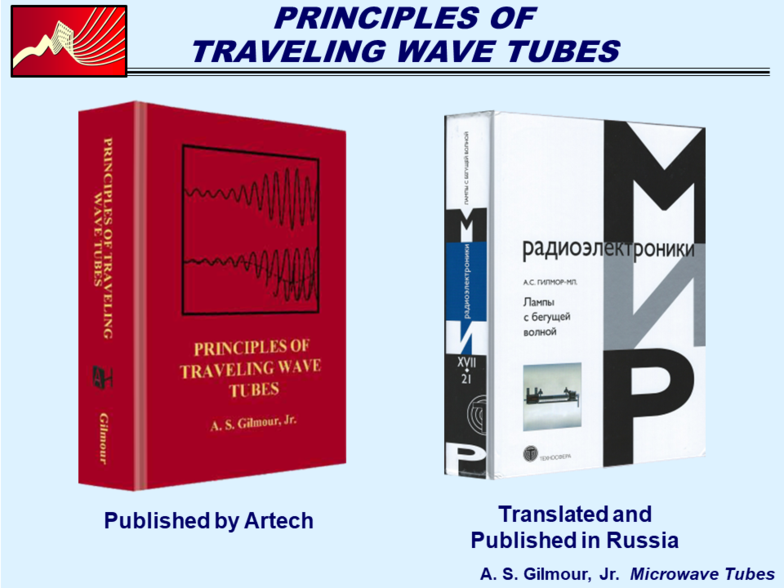 I refined the notes for the TWT course and wrote Principles of Traveling Wave Tubes which Artech published in 1994. 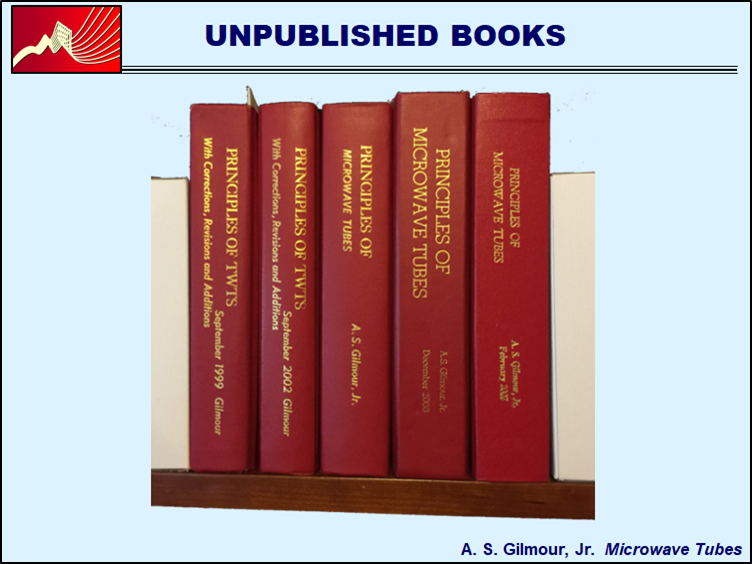 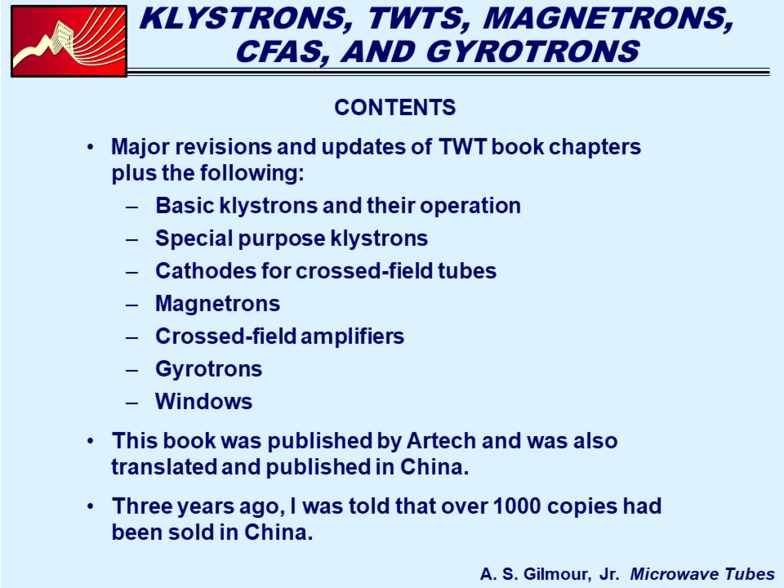 In 2011, I wrote Klystrons, Traveling Wave Tubes, Magnetrons, Crossed-Field Amplifiers, and Gyrotrons, which Artech published. 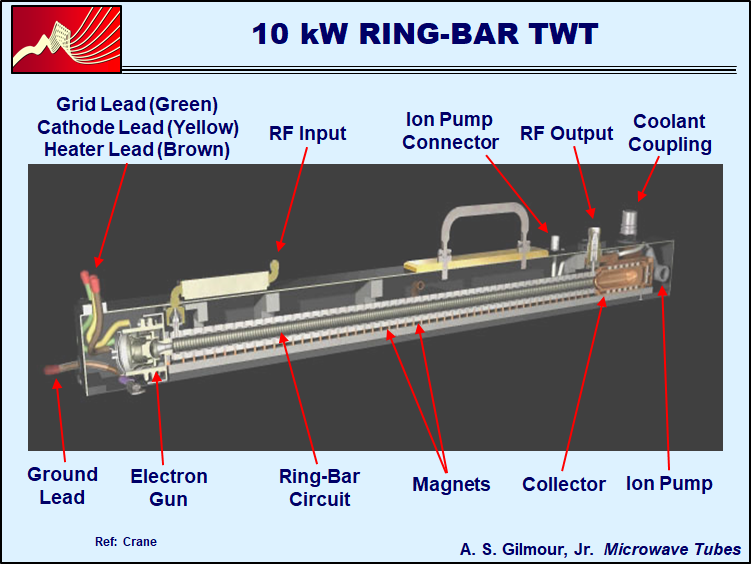 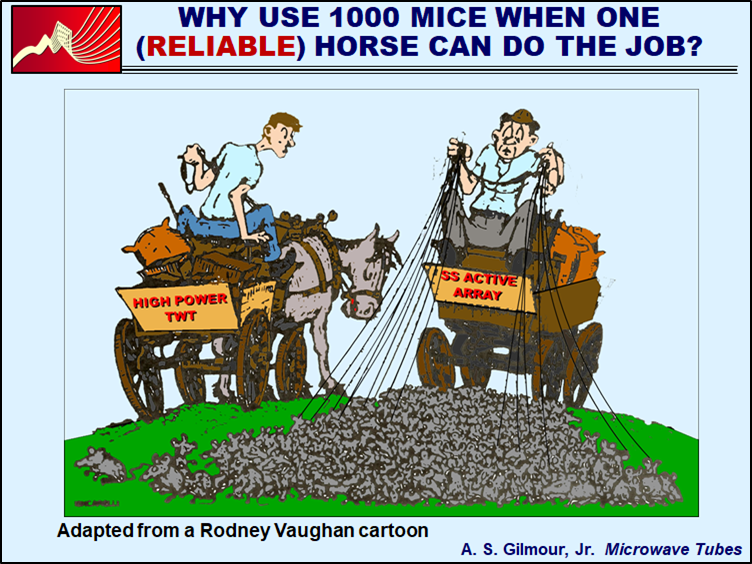 I had long thought that I should use color figures to make it easier to explain and understand complex tube operation. 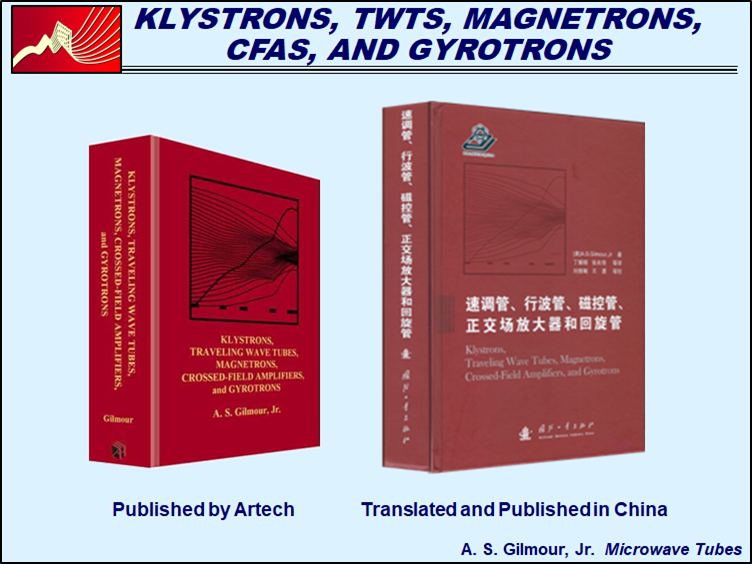 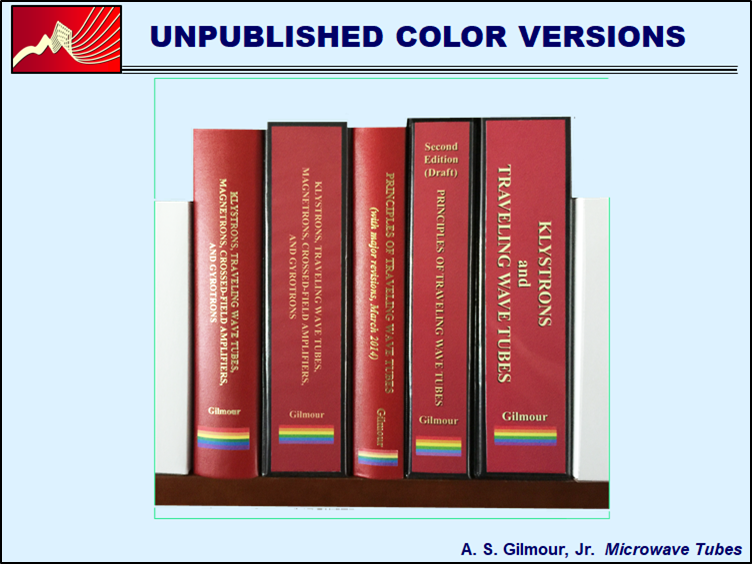 I prepared color figure versions of the Klystron... book, the Principles of Traveling Wave Tubes book and most recently, a new book on klystrons and traveling wave tubes, which is not yet published. 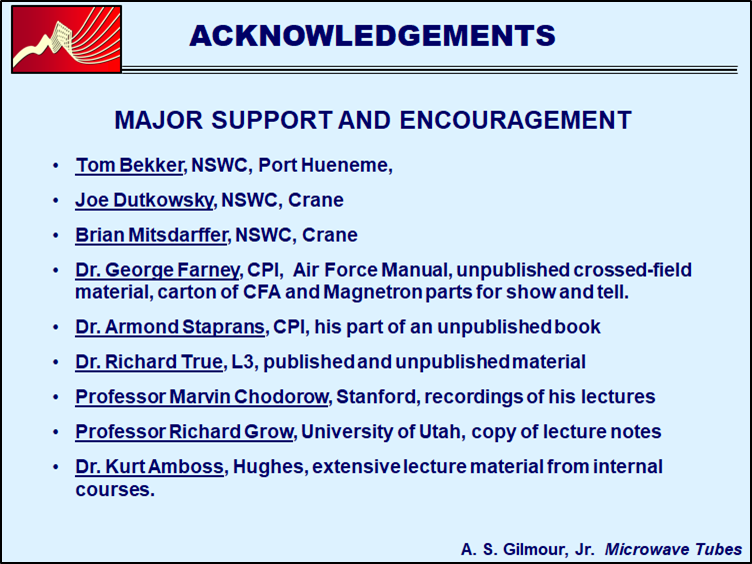 This was a major task because there are over 900 figures in the Klystron... book.